Wayfarers (45', 2016 RIC) for SATB choir and string quartet. Premiere: 25.09.16; Chamber Choir Ireland, Vanbrugh Quartet, cond. Ian Wilson, 'Composing the Island' series, National Concert Hall, Dublin/IRE. Jointly commissioned by the National Concert Hall Dublin and Triskel Christchurch Cork, aided by funds from the Arts Council of Ireland. Slouching towards Bethlehem (17', 2014 RIC) for SSATB choir. Teampall fuaime (45', 2013/14 IW) for SATB choir. Premiere: 03.05.14; Cork Chamber Choir cond. Helen McGrath, Triskel Christchurch, Cork International Choral Festival/IRE. Written with funds from a CREATE Artist-in-the-Community award. Fuil is uisce (17', 2012 IW) for soprano and guitar. Texts (in Irish) by Louis de Paor. Premiere: 14.04.13; Deirdre Moynihan and Alec O'Leary; Hugh Lane Gallery, Dublin/IR. i carry your heart (4', 2011 IW) for SATB choir. 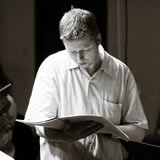 Premiere: 19.05.12; Mornington Singers, conductor Orla Flanagan, Pro Cathedral, Dublin/IR. Commissioned by Michael and Margaret Parkinson. Haru no sono (2'30", 2010 IW) for SSA choir (with optional string quartet). Premiere: 20.05.11; Mount St. Michael's Secondary School Choir, conductor Mary Grealis, Mount St. Michael's Secondary school, Claremorris/IR. The Bridge (25', 2011 IW) for choir and ensemble. 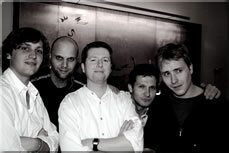 Premiere 25.06.11; Codetta, ad hoc ensemble of wind, brass and percussion, cond. Donal Doherty; official opening of Peace Bridge, Derry/UK. Come to me here (5', 2009 IW) for soprano, mezzo-soprano and piano . Text by Sappho, translated by AS Kline. Premiere: 04.11.09; Celine Byrne, Tara Erraught and Dearbhla Collins; Killorglin Arts Festival, Kerry/IR. Commissioned by RTÉ Lyric fm and Music Network. The Beloved and Her Lover (8', 2009 IW) for solo voice and SATB choir. Text from The Song of Songs, in Irish translation. Premiere: 04.09.09; Iarla Ó Lionáird, National Chamber Choir of Ireland, cond. James Wood; Church of Ireland, Cashel/IR. Commissioned by Music for Tipperary. Bealach Conglais (5', 2009 IW) for SATB choir. Text by Deirdre Brennan. Premiere: 01.06.09; New Dublin Voices, cond. Bernie Sherlock; Marktoberdorf International Chamber Choir Competition/D. Commissioned by New Dublin Voices. 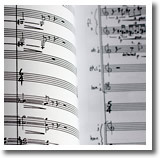 Harbouring (55’, 2007 IW) for multiple choirs, accordion and string orchestra. Texts by various authors. Premiere 05.06.08; Wexford Festival Singers, Enniscorthy Choral Society, Gorey Choral Group, "Whist" traditional singing group, Dermot Dunne, accordion, Irish Chamber Orchestra cond. Fergus Sheil; White’s Hotel Conference Centre, Wexford/IR. Commissioned by Wexford County Council Per Cent for Art scheme. White guardians of the universe of sleep (8’, 2006 IW) for SATB choir and live DAT recording (or double choir). Texts by e. e. cummings. Premiere 22.08.07; Ulster Youth Choir conducted by Greg Beardsell; Down Cathedral, Downpatrick/UK. Commissioned by the Ulster Youth Choir with funds from Awards for All. Ohne dich (4’, 2006 IW) for soprano, clarinet, violin, cello and piano. Text by Hermann Hesse. Premiere 30.06.07; Ensemble Antidogma Musica, Festival di Musica Antiqua e Contemporanea; Torino/IT. An tOileán (4’, 2006 IW) for SSAABar choir. Text by Deirdre Brennan (in Irish). Premiere 17.06.07; Carlow Young Artists Choir/Mary Almond O’Brien; Eigse Arts Festival, Carlow/IR. Commissioned by Carlow Young Artists Choir. Little red fish (13’, 2006 RIC) for mixed choir and saxophone quartet. Text: O. Kokoschka. Pieces of Elsewhere (22’, 2005 RIC) for soprano and percussion ensemble. Texts, 17 Japanese haiku (Basho, Buson, etc.) in English translation by Sam Hamill. Games (27’, 2003 UE) 13 songs for baritone (or mezzo-soprano) and piano. Texts by Vasko Popa, in English translation by Anne Pennington. Commissioned by Jeremy Huw Williams with funds from the PRS Foundation. Currach (6’, 2003 UE) for sop, cl, pno, vn, vc. Text by Tony Curtis. Premiere 28.06.03; Ensemble Antidogma Musica; Festival of Old and New Music, Turin/I. Commissioned by Ensemble Antidogma Musica. Nine hours of moonlight (21’, 2003 UE) for soprano, bass flute, harp, and violin. Premiere 06.07.03; Charlotte Riedijk, sop, Nancy Ruffer, b fl, Patricia Kopatchinskaja, vn, Godelieve Schrama, hp; West Cork Chamber Music Festival/IR. bluebrighteyes (5’, 1999 UE) for mixed choir. Text by Cathal O’Searcaigh, tr. Frank Sewell. Commissioned by the Cork Choral Festival. Under the lark full cloud (11’, 1999 UE) for mixed choir. Text by Dylan Thomas. Premiere 07.10.99; Town Hall, Waterford/IR; National Chamber Choir of Ireland/C. Mawby. Limbo (5’, 1999 UE). Text by Seamus Heaney. Premiere 11.03.99; City of Derry Youth Choir/D. Doherty; Belfast/UK. Commissioned by the City of Derry Youth Choir. Near the Western Necropolis (25', 1998 UE) for mezzo soprano and chamber orchestra. Texts by Martin Mooney. Premiere 21.04.99; Christine Cairns, mezzo, London Mozart Players/M. Bamert; The Anvil, Basingstoke/UK. Commissioned by the London Mozart Players. nine(birds)here (4’, 1990 UE) for mixed choir. Text by e. e. cummings. Premiere 30.05.96; Queen’s Consort; St Anne’s Cathedral, Belfast/UK.